This cranberry fire roasted cornbread recipe played a starring role in my Thanksgiving dinner this year, and I can’t wait to bring it back for Christmas dinner as well. It’s a definite keeper, and it’s perfect for a holiday meal… especially since it’s easy to make. 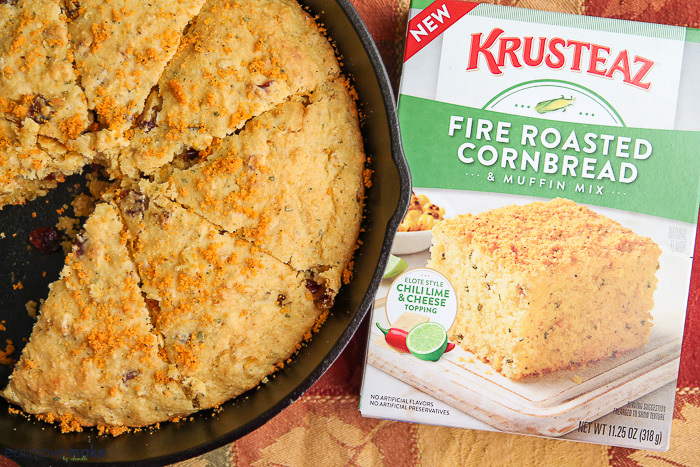 The secret is to start with a package of the newest Krusteaz cornbread mix, but I put a twist on the ingredients to give it some extra holiday flair. If you’re entertaining this year, it’s bound to be a favorite! 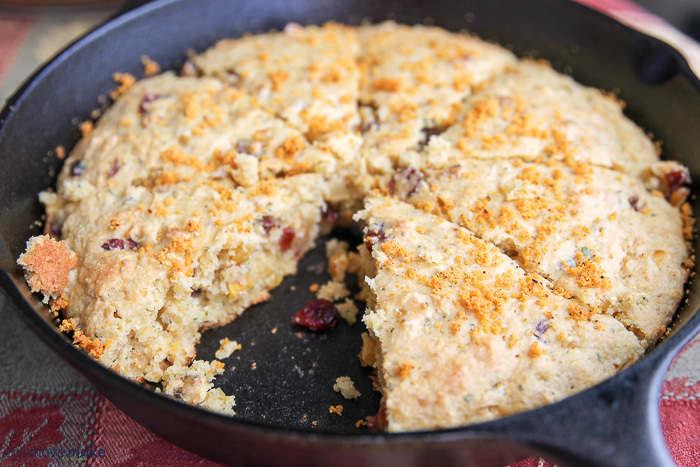 The sweetness and tang of cranberries adds a pop of flavor and color to the cornbread. I also added creamed corn to give the cornbread a nice moist texture. I love working with Krusteaz and experimenting with all the new and classic mixes they create. It doesn’t feel like work at all; it feels like play! Sprinkle the cheese topping on after baking, slice and serve! It’s absolutely delicious! And if you have any leftovers, I find they freeze and reheat in the microwave really well. Preheat oven to 400°F. Lightly grease 9-inch cast iron skillet, 8x8-in baking pan or 9x9-in baking pan. Place cranberries in small bowl and cover with boiling water. Let stand 5 minutes; drain. Set aside. Stir together egg, butter, corn and full box cornbread mix until blended. Fold in cranberries. 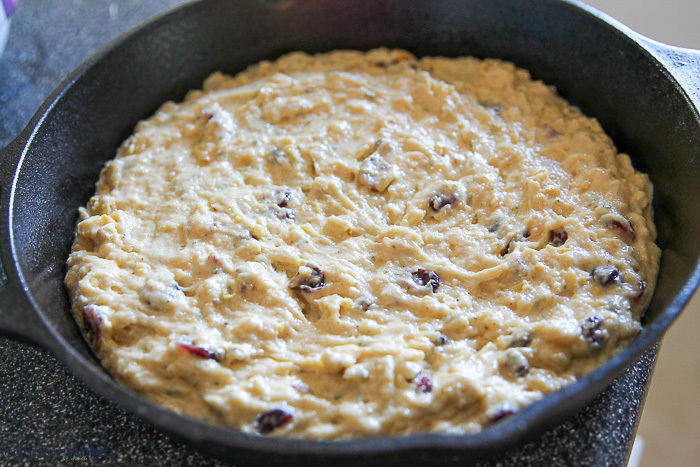 Spoon batter into prepared skillet or pan. Bake 20-25 minutes or until light golden brown and set. Sprinkle the seasoned cheese (enclosed in corn bread package) evenly over the baked cornbread. 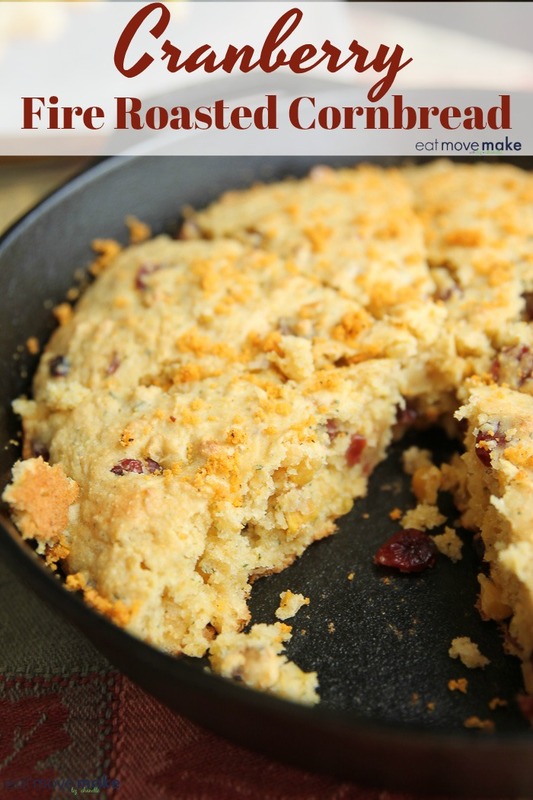 Pin the cranberry fire roasted cornbread recipe for later! 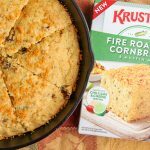 Discover the world of Krusteaz baking mixes here! This looks delicious! I’m not even a huge cranberry fan but I think I would love this! Oh I never thought to add cranberries to cornbread! This must be delicious! Krusteaz is such a great brand! That cornbread looks absolutely delicious! I bet the added cranberry really gave it a distinct flavor. 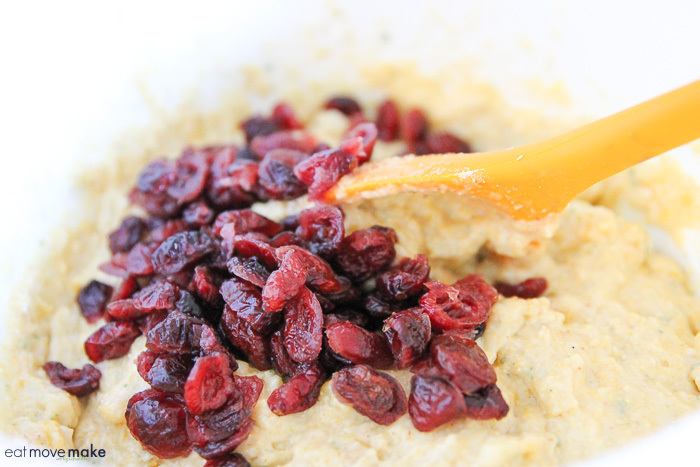 This Cranberry recipe looks really delicious! Such a perfect sweet treats for this coming holiday. This cornbread looks amazingly delicious! The addition of cranberries makes it irresistible! This sounds SO good! I really can’t wait to give it a try! We love cornbread in this house. I make it frequently, but I’ve never seen fire roasted cornbread. Very intriguing! I can’t wait to find this in the store. 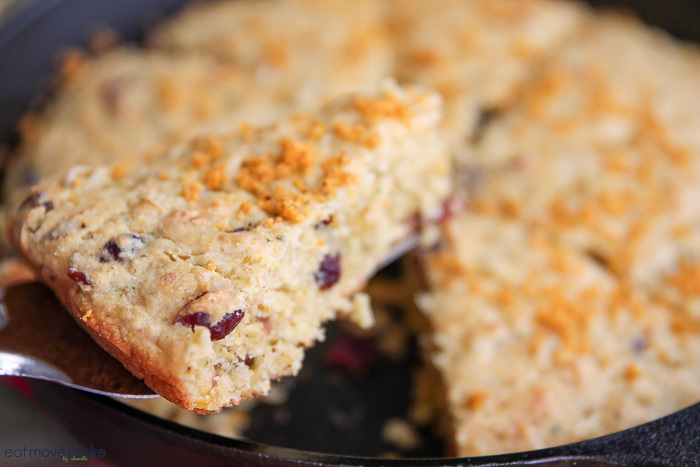 We love cranberries, but have never had them in corn bread. It does sound like an interesting combination! This sounds and looks so good! I love Krusteaz mixes and would love to recreate this for the holiday. Yum, this recipe looks amazing! I love the brand too. 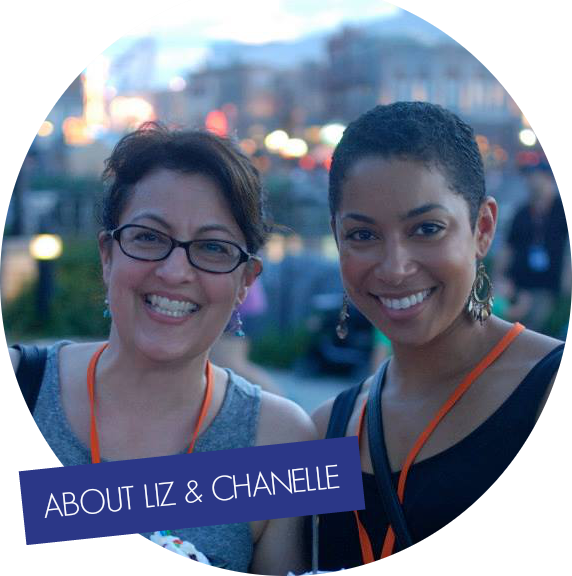 I have some cornbread from them I need to cook up myself. I will have to give this recipe a try. This is one fancy pone of cornbread. I’d love to give this a try. It looks tasty! That sounds practically sinful and I want every bite of it. 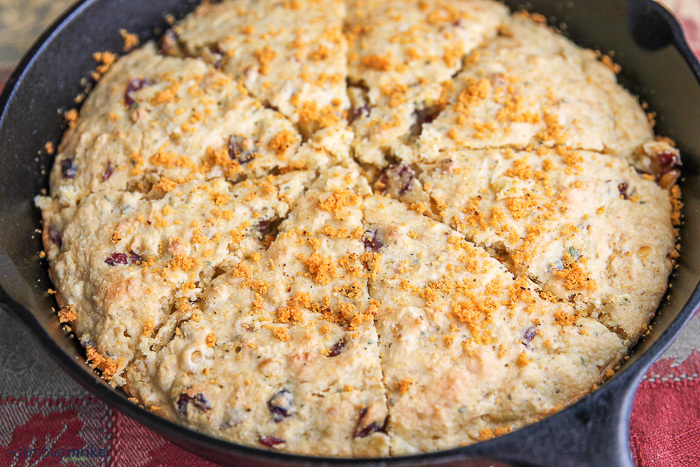 Cranberries are one of my favorites and I’ve never thought about putting it in a cornbread. I can’t wait to try it. Love this!! I have a cranberry bog in my back yard so I have more cranberries than I know what to do with. I will have to make this. You have cranberries by you? I’m SO jealous!